Small order ships by air, big order ships by sea would be better. By DHL, UPS, Fedex, Express. OEM service is available in POPOBE. 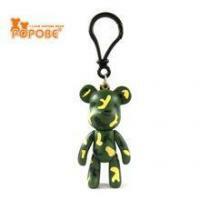 Customers can make many different designs on POPOBE Bear body. There are many successful cases with famous brand, such as, McDonald’s, Domino’s, Lee Cooper, Mooto and so on. Guanzghou Huigang co,Ltd was establised in May 1994, which was a wholesaler of plastic animated cartoon products. 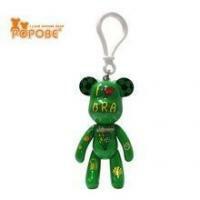 We created POPOBE’ brand, and successfully applied for the trademark and design patent in 2003. Guangzhou Huigang co., ltd was established in 1994, we specifically engaged in our own brand POPOBE, and we are the professional wholesaler company that has our own patented "POPOBE bear" design, production, wholesale and sell. Huigang co., ltd operated for 20 years successfully, the integrity and commercial credibility was the criterion for us, and driving force behind our success giving us an outstanding reputation among the business community. 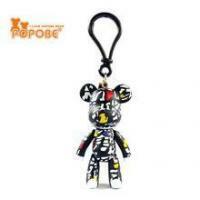 Persisting creatively with our focus on one thing, which is -------POPOBE bear, our goal is for POPOBE bear to last more than 500 years! POPOBE bear has big plans to bring you more surprises, exciting fresh faces, and new creations in 2013, we invite you to keep following POPOBE Bear in our journey.